Since my last post way back, a lot of things have happened. 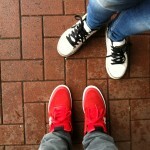 Went to Back To The Streets in Leszno, Poland. And skated all the way to the final, but I was held back by an injury that happened in the semi’s. Got 9th, out of10 finalists, so still am extremely happy about that. 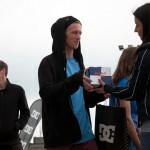 After that I got to spend some time in Romania, and won the contest Street Heroes @ Electric Castle, GSD. The next one was Transylvanian Rippers 13, in Cluj-Napoca. Which I got to participate in this year, and it was a super great event. Went home with a really unique trophy. I was in Romania last week, in a city called Cluj-Napoca. Got to see all of it’s wonderful park areas and got some skating done. Made this little iPhone edit, of the whole trip. Romania Edit – Cluj-Napoca from Ringgren media on Vimeo. Wanna check out something cool? or at random street spots around the Danish country side. Out in the streets trying to produce some footage. Still a bit cold here in Denmark, tried to film some tricks down this 9 stair. faster than it should have. But I got this one down. And there will be more from this spot, in the days to come. Cold as Ice Frontside Flip from Ringgren media on Vimeo. 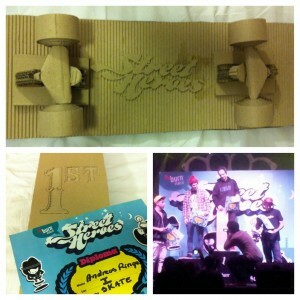 So last weekend I was in Bucharest for the Street Heroes – Cool as Ice event. Which was a blast. Got the chance to meet a lot of really cool people, and skated with Romanians finest. I also hung out with some of the guys from Sector4Crew. And they where kind enough to film my lines in the contest. A big shout out to you guys! Then on 13th of Feb. I got home late in the night, after being on a bus for two days. Had a quick session the day after. It was tiring. My whole body was in a sleep state. Regrouped the energy that I had, and went on driving down to Odense, Denmark. For a local skate contest, that lasted the whole day. 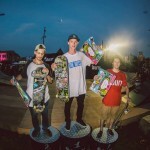 The contest started off with a Game of Skate competition, where I managed to skate my way to the 1st position. 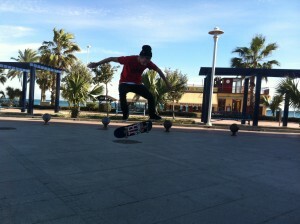 Later on, other competitions were organized, such as Best Trick, or Highest Ollie. The day ended with a line competition, where I got 2nd place. It was a super fun day! 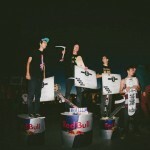 Quick update: Street Heroes – Cool as Ice took place yesterday in Bucharest, and I am happy to say that I got 1st prize in the skateboarding contest! Will soon write a more detailed post about the event and my trip to Bucharest. The other day I learnt this new trick on the jumpbox at the local skatepark in Aalborg. And this is the last I’ll post this week. Because I’m Going to Romania to skate a contest there. So see you next week. Fun new trick! from Ringgren media on Vimeo. Brand new edit from my wonderful trip to Málaga. Collected all the funny clips you always film with your phone. Into this great and fun video. Windy, sunny and all great fun. Málaga Clip (iPhone footage) from Ringgren media on Vimeo. Yeah. Just uploaded a bunch of new photos from my trip to Málaga. So here it is, online now. Málaga Clip from Ringgren media on Vimeo.